The discovery of white dwarfs in the early 1900s was deeply perplexing for astronomers. From their temperature and brightness it was clear white dwarfs are roughly the size of Earth. Since some white dwarfs orbit other stars, we can also determine they are about as massive as the Sun. How is it possible for so much mass to be compressed within such a small volume without collapsing on itself? The most popular idea at the time supposed that under great pressure electrons would become free from atoms, producing a super dense plasma of free electrons and atomic nuclei. Since electrons are extraordinarily tiny, they would act like an ideal gas with the usual temperature and pressure relations. The “electron gas” of a white dwarf would therefore have enough pressure to keep the star from collapsing. 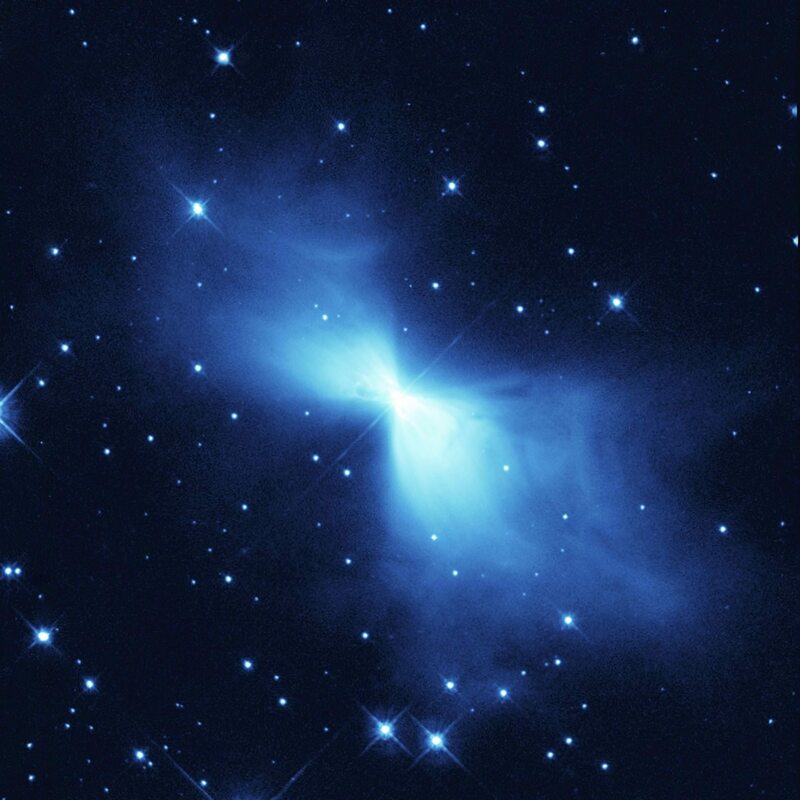 The Boomerang Nebula hovers just above absolute zero, with a temperature of just 1 K.
While that seems reasonable, Arthur Eddington noted it gave rise to a paradox involving thermodynamics. A fundamental law of thermodynamics states that nothing can be cooled below absolute zero. This applies to a gas of electrons as well. Since white dwarfs emit heat and light, over time they would cool. But Eddington noted that white dwarf matter only existed because it is under pressure. If you removed the pressure the material should expand back into regular atomic matter. So suppose you found a particularly cold white dwarf. The gas of electrons and nuclei would be above absolute zero, but it’s energy per mass would be less than that of regular matter at absolute zero. If you scooped up a bit of that white dwarf and remove the pressure, what would happen? Theoretically it should be colder than absolute zero, which isn’t possible. The paradox was finally solved in 1926 by R. H. Fowler. The problem, he argued, stemmed from treating electrons as classical objects like atoms. Electrons follow the rules of quantum theory. Because of the Pauli exclusion principle there is a limit to how closely they can be pushed together. A gas of electrons in a white dwarf therefore can’t cool below absolute zero because the laws of quantum mechanics don’t allow it. Within a few years Subrahmanyan Chandrasekhar expanded upon this idea to show that white dwarfs can never have more mass than about 1.4 Suns. This upper limit on size became known as the Chadrasekhar limit. What began as a paradox of thermodynamics became the first demonstration of the quantum connection between the very large and the very small. It pointed us toward the direction of modern astronomy. Next time: Stars get warmer as they age, which means there was a time when our Sun was too cool to liquify water on Earth. But the evidence is clear water existed on Earth for much longer. What gives? The paradox of the faint Sun heats up tomorrow. in many old SF story is idea that spaceship landing on the dead cool stars is that posible? Pretty good. The surface gravity of a neutron star and a white dwarf are similar, some 10^11 times that here on Earth (the neutron star’s is greater, but only by a factor of a few). Landing on a neutron star you and your spaceship would be reduced not only to a pancake, but the atoms and their nuclei would be reduced to (mostly) neutrons. On a white dwarf, atomic nuclei would retain their identity. 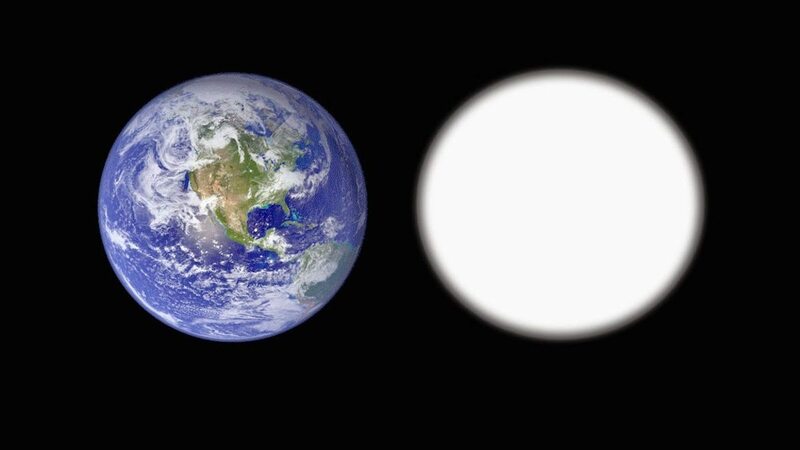 One difference is that a white dwarf has (or can have) a stable atmosphere (albeit a rather odd one), whereas a neutron cannot (well, without getting really nitpicky about the definition). You are correct…landing on a Neutron Star will break the ship down to neutrons itself and become part of the star. Thanks for adding that, i appreciate it. If a chunk of cold neutron star could be lifted off the star’s surface to a point that it would then expand, would it not be gaining much potential energy? (Think a rock on the bottom of a hill then lifted to the top of a hill). Further, once the neutron matter was no longer confined, would not the ‘expansion’ be a tremendous explosion with much friction? This seams to be at least two sources of energy to prevent the cold chunk from any possible tendency toward a colder temperature, and likely the opposite – toward much higher temperature. There would be some energy lifting it, but in terms of the thermodynamic energy it wouldn’t matter. If white dwarfs were made of matter in a classical arrangement, then it could get colder than absolute zero. There’s a similar issue with black holes, in that quantum theory seems to save the day. Also true ‘Absolute Zero’ would be when all atomic (and sub-atomic) movement stops. How can anything be ‘less than stopped’? (Turns to antimatter? ).